Are we forgetting how to read? 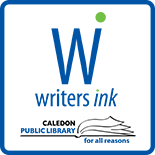 Alton Writers’ Ink member Melissa (MJ) Moores will be reading/singing/talking writing at Euphoria Café in Orangeville this Wednesday August 15th starting at 7pm. Why not go along and enjoy/learn? This event emphasises practical advice and meaningful insights, with intensive sessions led by professional teachers, editors, and writers.